Prospect Denizens of the Tower ! we close the month with a maritime theme. 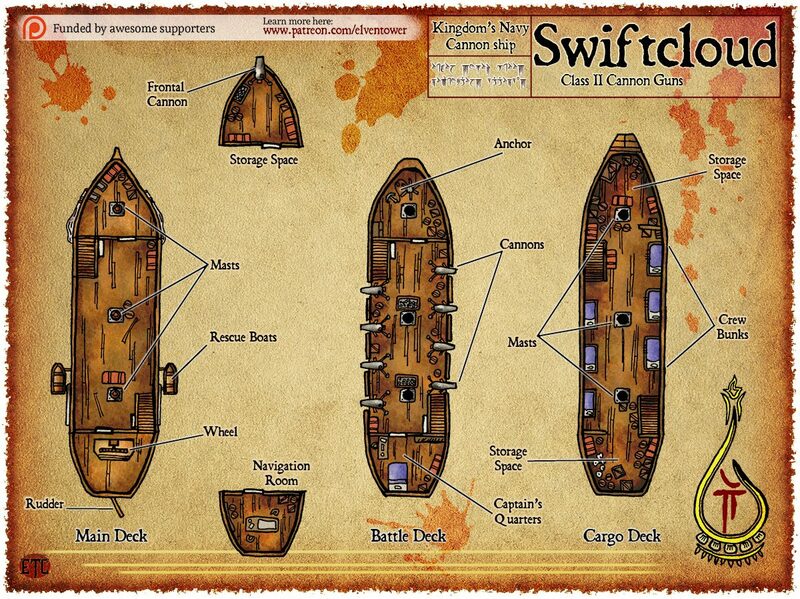 This is Swiftcloud a fast three-masts ship with an array of gunpowder powered weapons. 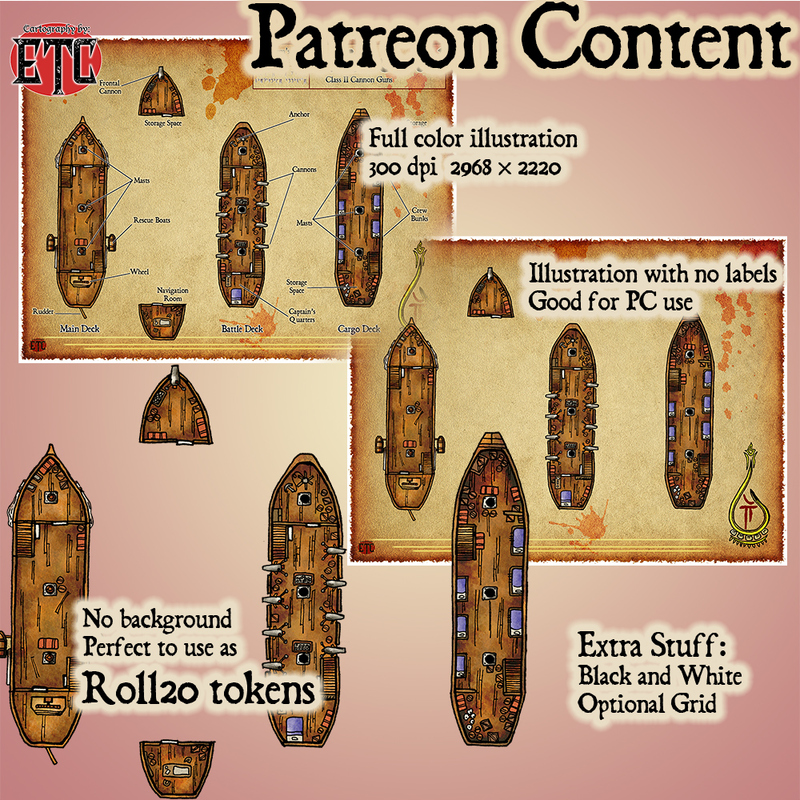 A very long time ago when I wasn’t working with color illustrations yet, I drew a ship plan and got so much critique online due to my poor understanding of ships that I didn’t drew one again until now. I promise past mistakes are fixed now, although a person with sea experience will surely still find some oddities with this, I believe it’s perfect for a fantasy setting or a sea-faring one-shot. I must thank everyone who joined this month for pitching in for this noble cause of creating more and more RPG ready illustrations. I truly believe the future of RPG gaming and its diversity sits directly in small creators who are creating LOTS of content that’s being funded directly by users. By the way if you’re interested in Patreon rewards or wonder what’s all about, here’s an example of it. 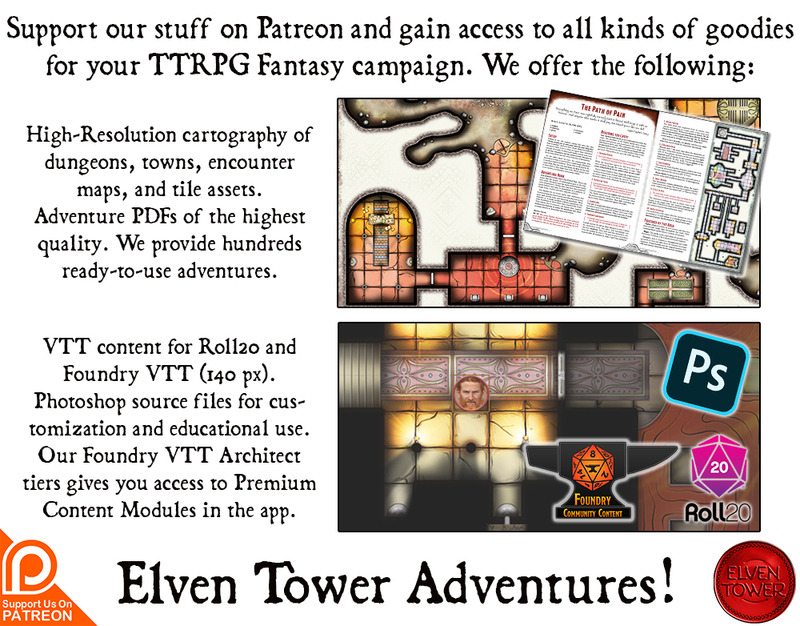 In short words, each illustration you’ve seen here in Elven Tower is actually a pack of illustrations in different variations. There’s options with and without grids. Also labels and some of them even come with no backgrounds to be imported into Roll20 as icons/tokens.